It took the need to use a third-party gateway, the choice fell on “Twilio”. In terms of sending no problems, SMS go without problems. But the problem is that loans do not change. The callback URL is also specified, but still the cretida remain unchanged. I can’t understand what kannel is doing here. 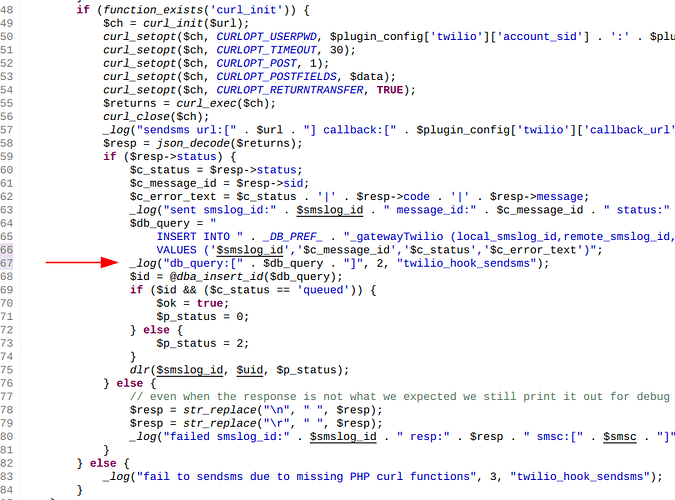 as for twilio, can you check in database, table playsms_gatewayTwilio, is there anything in there ? Yes, but kannel is installed on another host. Well, right now, check it out. Thank you so much Anton for your guidance. Anton, please tell me how to be in this situation? Hi, Anton! What is the way out of the situation suggest? By the way, these dates began to appear intensively.